Rolex is one of the most prestigious watch brands that rules the heart of people all over the world. They are the true example of marvelous craftsmanship. It takes more than a year to put together 220 minute pieces into the timepiece, which is done systematically by hand. In fact, almost 400 operations are conducted only on the main plate. The finished watch is put through a number of tests and re-tests. This pursuit of perfection has made Rolex a true symbol of class, elegance and social status. Rolex ladies' watches can be the perfect gift for the most important lady in your life. There is a wide range of Rolex ladies watches, each offering a unique style and class. The two broad categories are Ladies Rolex President and Ladies Rolex Datejust. Both categories offer a wide range of varieties suiting all types of taste. The 18k Ladies Rolex Super President is a unique Rolex model. The Presidential bracelet appears bold and powerful - the main reason why it is becoming popular among today's young professional women. Many dial colors are available for this watch: champagne, mother of pearl, pave diamond and silver. 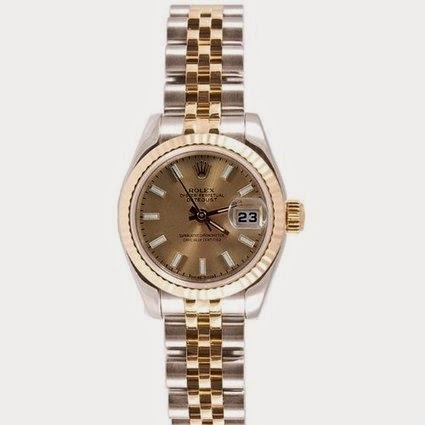 Ladies White Gold Pave Dial Rolex Super President offers maximum style and elegance. It features a pave diamond dial with 110 round cut diamonds set in 18k white gold. The case is made of 18k yellow gold with 18k yellow gold crown and custom diamond lugs. It has custom .70 ct. beadset diamond bezel with 30 round cut diamonds set in 18k yellow gold. The most important feature is the Italian-made 18k yellow gold President bracelet fitted with 232 diamonds. 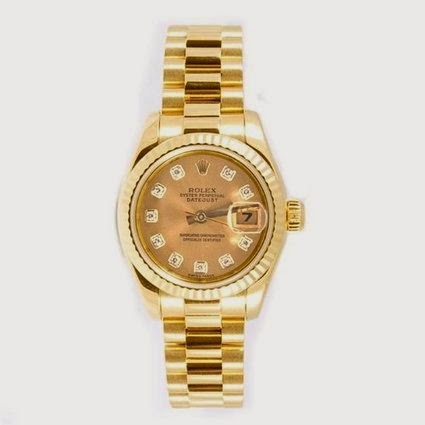 Ladies Rolex Datejusts include a huge variety of women wristwatches. The Ladies 2T Rolex Datejust with Jubilee 18k/Stainless Steel band is an elegant version of the Datejust which allows for more versatility. It is available in many dial colours such as mother of pearl, champagne, silver, blue and red. In particular, the mother of pearl dial provides a multi-coloured look that has become increasingly popular in the past few years.